Both officers have succumbed to gunshot wounds after being admitted to hospital in critical condition, authorities have confirmed. The two uniformed officers killed on duty were identified as Wenjian Liu and Rafael Ramos. They were sitting in their marked police car on a Bedford–Stuyvesant, Brooklyn, street corner, allegedly working overtime as part of an anti-terrorism drill. The attacker came up to their vehicle at around 3pm and shot multiple times through the front passenger window. Both officers suffered critical injuries to the head. Neither officer had a chance to protect themselves and most likely did not even see the attacker. “With no warning, no provocation,” Bratton said. “They were, quite simply, assassinated." The shooter then ran away into the subway where he committed suicide with the same gun, according to officials. He was taken to the hospital but proclaimed dead upon arrival. Police also confirmed the gunman,identified by police as Ismaaiyl Brinsley, 28,was a fugitive who recently shot and seriously wounded his girlfriend in Baltimore.Several hours before the shooting the suspected gunman posted a picture of an automatic pistol with a message on Instagram. American President Barack Obama has condemned the murder of police officers in New York City. “I unconditionally condemn today’s murder of two police officers in New York City," Obama said in a statement. "Two brave men won’t be going home to their loved ones tonight, and for that, there is no justification. The officers who serve and protect our communities risk their own safety for ours every single day - and they deserve our respect and gratitude every single day. Tonight, I ask people to reject violence and words that harm, and turn to words that heal - prayer, patient dialogue, and sympathy for the friends and family of the fallen." 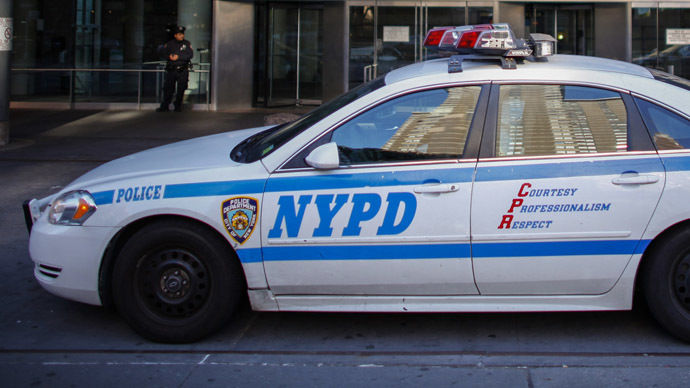 The incident occurred as New York officers and police nationwide are being widely criticized for their brutal tactics against suspects, especially African Americans. Over the past weeks tens of thousands of Americans across the country joined in massive marches against the killing of unarmed black men by police.